What do you see in the photo? 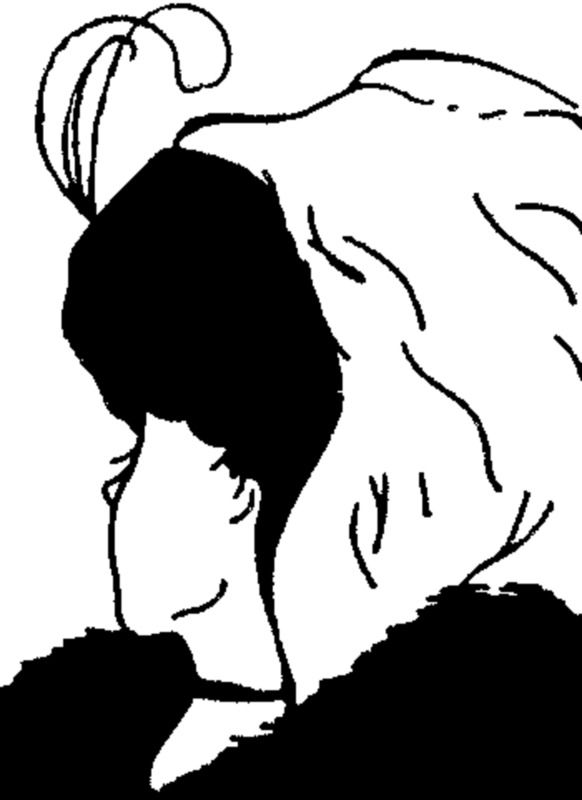 An old woman, or a young woman? It’s crazy how sometimes when you first look at a photo of this type (I’m sure they have a name, but I don’t know what it is) all you can see is the one and you can’t even see a hint in the other, but suddenly something shifts and although nothing about the picture has changed you suddenly see something completely different in it. Now that you can see it, you wonder why you didn’t see it before because it now seems so obvious. That’s how reading the scriptures feels to me sometimes. There was a point of doctrine that I had a question about for years, and I could not seem to find an answer. One day, when I was thinking about something completely different, the pieces suddenly came together and the answer came. Ever since then I have seen the answer to my question all over the place. It was plainly there in all the time. The scriptures I was reading didn’t change, not even the copy of them I was reading out of changed, but suddenly those same lines and colors turned revealed something completely different leaving me wondering how in the world I had missed it before. I absolutely when new things are pieced together through personal revelation and then I am able to receive confirmation of the revelation through other righteous sources. If the straight out answers I see as confirmation came first I don’t think I would truly understand what I was reading and gain testimony of it. Though I love the feeling of success that comes with putting the pieces together by “myself” (ha!) I am always so glad for the conformation of the doctrine in the scriptures and words of the prophets both modern and ancient. It’s really a key part to revelation. Confirmation of personal revelation through canonized scriptures, whether it is verses you’re reading for the first time or verses that you are gaining a new perspective of, assures you that the new information is of righteous origin. True doctrine is eternal, so if it is true now, it has always been true, and I can guarantee some prophet has written or spoken about it. With the photo above some people will see the old woman first, and others will see the young women first. My new revelation in the scriptures may be something that some people have seen from the very beginning, but perhaps there is a perspective that I see that they haven’t been able to bring into focus yet. That’s the beauty of sharing, teaching and talking about the gospel with other people. They can give depth and meaning to scriptures in ways that we weren’t previously able to see. The Book of Mormon, Bible, Doctrine and Covenants, and Pearl of Great Price will never feel old and redundant as long as we continue to search them for answers to our sincere questions. I love having conversations with friends about our collective insights we get from scriptures. We talk about it weekly, sometimes daily. I always learn new things, and I’m sure I share insights that are new for others as well. It’s such a lovely way to spend positive time with friends.